Now that the 'Ramaphoria' dust has settled, retailers and manufacturers are needing to come to terms with the fact that GDP growth is stagnant, and as a result, consumer confidence and sales have remained low. Unpacking the current macro food and purchasing trends and its meaning for SA, IRI South Africa’s learning and development director Marylee Townshend said the country’s already complex trading environment has also become more competitive. Local shoppers have become more savvy and value-seeking, willing to put in extra effort to get what they want at the right price. The growth in the number and variety of stores opening is a key factor contributing to competition in the food marketplace. According to IRI, South African shoppers have increased their store repertoire to 5.3 stores. For manufacturers, the growth in store numbers means more of them to visit, which leads to an increase in cost. Despite the above challenges, Townshend said that private label products have seen tremendous growth. Originally entering the marketplace as imitators, they've since shifted to become category disruptors. 1. The shopper’s continued search for value. 2. Private label products are now considered tried and trusted by local shoppers. 3. Retailers are incredibly active in terms of their ranges, not only increasing assortment but also penetrating categories that historically they never penetrated before. 4. Retailers may not necessarily be launching their ranges as private labels as we know it, instead they’re launching private brands, as in the case of Checkers’ introduction of the Oh My Goodness range. Some retailers, like Pick n Pay, have taken their private brands a step further by launching tiered offerings. The introduction of private brands has helped to increase the sophistication of private label, resulting in greater success across categories, from personal care to baby or pet food. 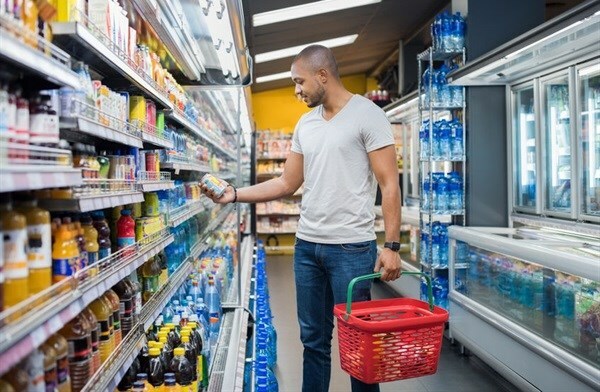 Townshend said that private brands especially have become strong differentiators for retailers, with particularly niche offerings, like Clicks Smartbite and Dischem Lifestyle Food, doing really well in health food segments. “Private label has changed from being margin drivers to being retailer loyalty builders,” Townshend explained.